Puranga was a small divine chiefdom in 17th C before the coming of the European; it flourished until the British took over administration of Acholi territories and incorporated it under Pax Britannica. Prior to colonial rule Puranga chiefs played dual role as governors and priests of oracles. They believed their god Jok Olal Teng the sacred being supported their chiefs to make wise decisions. A small clan called Kal Orimu was chosen by god as supreme denying other Puranga clans to wage war in order to attain chieftaincy. This greatly helped Puranga to become a strong traditional monolithic chiefdom. The children were told of the origin of each rite, taboo, and customs to understand them properly. Children were also taught detail study of the Lou history thus Alunga Lujim acquired a good knowledge of his people. When unidentified brown strangers with the aid of the Lutugu chief destroyed the Lwo chiefdom, the inhabitants of Tekidi settlement dispersed in confusion with majority led towards Nile Valley by Rwot Owiny himself.According to Alunga Lujim, the divine Kingdom of Puranga Kal Orimu came into being after the fall of the last Rwot of Lwo Rwot Owiny Wod Pule Rac Koma, the last Rwot of Tekidi. But a very small group of people took refuge in the mountain among the group of men was a man named Opolo, a junior master of ceremony in the palace of Rwot Owiny wod Pule. As soon as victorious Lutugu warriors occupied the Lwo capital after the war they departed from the devastated settlement and returned to Lutuguland and small refugee from the mountain came to look for food in the ruined settlement. They did not know what to do since all the people had left for Nile Valley long ago. Having remained in hiding long time, they thought they were the only survivors and they did not bother to look for the main body of Lwo. Fortunately at the ruined settlement in search of food, they found Lutugu warriors did not destroy granaries of simsim, beehives and (Obato) yams and (Okono) pumpkins. When rain started to fall early that year, sorghum sprouted quickly and few months they had plenty of crops to harvest. After heavy harvest that they could not carry, the Kal people settled in the ruined permanently. The oracles then appeared to them showing them the location of the King’s sacred spear; stool, drum, and pot of rain were kept. They collected them and consecrated with the blood of a lamb and this gave them the burden of observing the taboo in special way all the time. As Opolo was the only man among them who knew the secret of the oracle and rituals, thought not in detail, he was appointed Custodian of these articles and the priest of the oracle. The group called themselves “Orimungole” meaning the “survivors” they decided to live in the area for some time and then made peace with the Lango Olok for fear of alienation since they were few in numbers. They thus became free to move within the territories of Lango Olok. Opolo remained as priest of the oracle and a leader described as wise and generous man to the people of Orimungole. When he died of old age, his son Kuku who learnt the secret of oracle succeeded him. Opolo named his son Kuku because the oracle obtained it so, to remain the small group of their ancestor, Kuku Lubanga. Kuku was later succeeded by his son Obwor and the order of succession continued to the priesthood of the oracle. Omero succeeded Obwor, and it was the leadership of Obwor and Omero that the group migrated to Lango Olok Country. However Alunga Lujim was not certain of the exact date whirls in Lango Country, Oranga succeeded his father Omero, and father Oranga led them to the foot Got lakwar where he died leaving two children, Beno and Jule (now Pa-Jule). His first son Beno became Rwot and Jule broke off with a small group under his rule at the foot of Lakwar rock. Beno migrated twice during his rule moving under lakwar rock and Otuke rock sating here for a long time. Here the Lamur clan from Sudan joined Otuke followed by Bobi clan who were separated from Jo Padibe and Parwec clan with their small chiefdom. 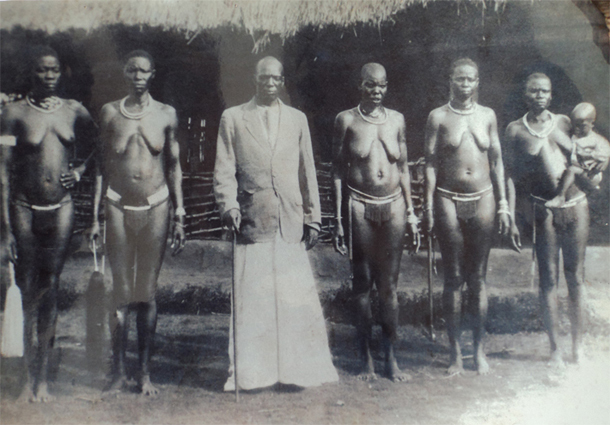 They were followed immediately by the Lukwor clan in present Odek sub-county in Gulu. Jo Paikat clan from Sudan joined Parwec and Jo Bolo clan came with their people and chief from Sudan. The Palaro also arrived from their kinsmen at Lute settlement. The Gem clan later came from Obo of Sudan. And Jo Palenga joined them from the Jule (Pajule) group. The last group to arrive was the ancestor of the Aywer clan, Okot Odok Dyang. During this period Owiny took over from Beno, and he was succeeded by his son, Cua Agoda who was in turn succeeded by his son Ogwang Omor. During this time the position of the priesthood became more and more of a ruler from semi-kingship to divine kingship. This is how the Alunga Lujim ancestors came into line of succession to the throne of Kal Orimu of Puranga. Under the rule of Ogwang Omor and Puranga group settled at the foot of Iwet rock near Adodoi river and at Iwet rock Ogwang Omor died and Chua Omero took over and migrated to Orunya near River Agago where he also died and his leadership was taken over by Cunyu Agara, he also migrated along Agago river settling near a rock which had no name. The oracle ordained this rock to be the national shrine of Puranga and its place of abode. The oracle which had no specific name apart from Jok only gave itself another name, Olal Teng where the unnamed rock of Puranga was named after Olal Teng. At the same time the position of Cunyu Agara became strong and was king and ritual head of Puranga. On the instruction of Oracle Olal Teng, Cunyu Agara moved his people to Apiri where he produced only a son there named Olwoc Mutu meaning “the future was dark” because he was not sure Olwoc would succeed him. The beliefs came true when misfortune overtook Olwoc Mutu after his father died. When Rwot Cunyu Agara died of old age during famine, he left two wives; his first wife and queen called Kiccaa Auru did not produce a child. His second wife produced Olwoc Mutu but because she was anointed with Cunyu Agara to the throne, had control of petty belongings of Cunyu Agara as well as sacred articles pertaining to the kingship. This was in accordance to the customs. At the time of Cunyu Agara’s death there was a man called Ogwang Okok their cousin from Parumu who was staying in the palace of Puranga. Although he was only a visitor, but participated in digging grave to burry Rwot Cunyu Agara, he could not return to Parumu until cleansing ritual was done, he was then forced to remain in the Palace with the bereaved family. At this period famine was alarming and because elders stayed behind with bereaved families during Cola- the period between the first and second funeral rites, the queen had very hard time providing food to elders. Always when she asked her only son to take food to elders, mean as he was, Mutu could divert the food to his house ‘Otogo’. But when the queen gave food to Ogwang Okok to serve the elders, he did so and won the love of the queen and elders alike. The queen Kiccaa Auru then taught Ogwang Okok the sacred of the oracle unfortunately she did not know the whole process well. When she learned that Ogwang Okok knew all the process, she handed over the whole regalia to him but he failed to keep them sacredly in his Otogo. This was because Mutu was mean and dirty to hold the honor and dignity assigned to the position of the priest of the oracle and king of Puranga. Yet the position of Rwot of Puranga required a person with clean heart and benevolence. But when Mutu leaned to this he grew annoyed and carried abomination act of burying all the sacred stool, spears, pot of rain and buried them in the soil in the jungle. He thought the elders had replaced a stranger on the throne of his father. As a result of Mutu action the Earth God was angered and blocked rain from falling. Many people again starved to death. Suspicious to elders attempt to persuade him return the regalia, and elders hiding their anger from their faces, they persuaded Mutu in vain until special elders he trusted won his heart. He had planted regalia spear south of Puranga chiefdom smearing it with (Latuk) black carbon from the roof of a grass thatch hut while on the other side he smeared the spear with Pala (red oxide). This made rain never to fall in Acholi side other than in Lango. He removed the regalia from the earth where he had buried knowing he had taught the elders a lesson about playing with his father’s throne. When elders performed the ritual miracle happened and rain fell on the ground that same day. As soon as Olwoc Mutu brought and placed the regalia in front of elders, they arrested and tried him in elder’s court. At that time he was married and had five children. The tribunal of Puranga found him guilty of abomination and sentenced him to death, later they took him to grazing field where he was executed by stoning. This made Ogwang Okok their cousin who came as a lodger to the palace to be enthroned chief of Puranga. Although he could work very well as King, he did not occupy the position of the head of rituals and thus this made Puranga kingdom divided. The office of the ritual head of Puranga and head of oracle continued to be occupied by son of executed Olwoc Mutu because it was impossible to give that office to a stranger to occupy it. The teaching of the sacred of the oracles and articles were done by senior members of royal families and outsiders were not expected to know them. The lesson taught included an elaborate oral tradition related to the origin of the great kingdom of Rwot Owiny of Tekidi, great wars, names of past Rwodi or King in order of their succession to the throne, great famines and other memorable events which made them famous or infamous. These were mainly the events that brought about break up or separation of one group to another. When Ogwang Okok died of old age he left his only son Ogwal Lameny as a young boy and elders could not install him, thus his widow Aroko Nyacca thus occupied the throne of Puranga until Lameny came of age. He thus was installed without proper rituals because the people of Orimu who knew the ritual boycotted the ceremony. He ruled well but with numbers of difficulties, he married early and could not produce a child because the oracles and Eeath God were angry. Lameny had to consult a magician from Bunyoro who were powerful in curative medicine; then he produced a son. His Nyoro magician named the child Ogwal meaning the “Frog”. The birth was a great joy to the Royal house. As soon as Ogwal was weaned from the breast, Rwot Lameny died; this misfortune overtook Puranga people because Ogwal was too young to be seated on the throne. His mother Queen Akongo had to act as a ruler of Puranga. She was assisted and advised by Olunyu Acuga of Palaro Clan. Queen Akongo did well and her son Ogwal took over as he came of age and by the time the British colonial masters took control of Acholi, Ogwal Lameny was the Rwot of Puranga. The transfer of the royal line from Kal Orimu to Ogwang Okok was affected by the intrigue of childless Queen Kicaa Auru who was thought by the people of Puranga to be the cause of repeated misfortune attached to the throne of Puranga which was his grandfather. Ogwang Okok snatched from the house of Cunyu Agara of Kal Orimu. He took precautionary measures against it. With the aid of Nyoro magician, Ogwal was able to produce many children. But it is believed that because of the fraudulent accession and the curse of the executed Olwoc Mutu, the house of Rwot Ogwal Lameny never produced any person of integrity. Most of his children took to heavy drinking and under the strict supervision of the British administration, they could not rule well. Fortunately for the Puranga kingdom although Ogwal lameny was poor ruler, Okello Mwaka of Bobi clan who played the role of chief executive prime minister of the kingdom, administered the Puranga affairs with superb diplomacy and administrative abilities. Mwaka was a man of considerable experience. He had travelled widely and gifted with many languages. The British officials found him as capable as Sir Appolo Kagwa of Buganda; therefore, he was able to to win recognition of new colonial administration. This greatly disturbed Ogwal Lameny who feared that Mwaka would replace him. Ogwal Lameny immediately begun to exploit quarrel between Mwaka and some men of the Palenga clan. In collusion with these men he had Okello Mwaka murdered. This perturbed the British Authority as they gave had placed great trust in Mwaka who was then giving them indispensible assistance in nursing the newly established colonial administration in this part of Acholi. After investigation, the culprits were arrested and punished and Rwot Ogwal Lameny was exiled in Masindi where he died. Puranga Kingdom thus was divided into parts. Andrea Olal, who was the elder son of Okello Mwaka, was appointed Rwot of the western part of Puranga. This was done by the British as a prize for meritorious conduct of his murdered father, Okello Mwaka. Petero Owing Cumun, son of Ogwal Lameny ruled the eastern part of Puranga. Unfortunately he did not live long; he died whirls attending conference of chiefs in Kitgum. Some people who knew Rwot Petero Owiny Cumun intimately believed that the cause of death of Owiny was due to alcoholic poisoning for he had been a heavy drinker. But no postmortem was done to determine it. Those from the house of Ogwal themselves believed that he was bewitched because at the time there was rumors that the British were willing to reunite the divided Puranga kingdom. They feared that Owiny Curum would rule the united Puranga by virtue of his birth, hence they killed him. His younger brother, Eliya Aboga, took over as Rwot of eastern Puranga. Andrea Olal justified his appointment as Rwot of Western Puranga. Like his father, Okello Mwaka, he proved to be a great leader. In fact he outshone all other Rwodi in Acholi. When the Puranga Kingdom was re-united, the descendant of Ogwang Okok lost their stolen chiefdom to the house of Okello Mwaka of Puranga Bobi. This completed the transfer of the royal line from Kal Odokotaya to Bobi. Andrea Olal however was the last Rwot of Puranga. He died of Pneumonia at St Mary’s Hospital Lacor in Gulu on November 18, 1968. He was then buried in his palace in Bobi. Who is the heir to Andrea Olal? The apparent heir to the throne of Puranga was Ananiya Kerawegi Akera. He also displayed great capacity for leadership when he acted as Secretary General of Acholi for a short time. After he was trained as a British Cadet to lead King African riffle and participate in governance, Akera is one of the Acholi sovereign’s leaders who helped Uganda acquire Independence from British colonialism in 1962. He participated in political party agitation under the then Uganda National Congress before transforming into Uganda People’s Congress Party UPC. Akera 99, consecrated as the chief of Puranga Bobi in 2006 after years of civil disturbance disabling him to the seat of his father. Rwot Oola Peter Ojigi of Alokolum does not belief in history that Rwot Olal Andrea existed. After 1996 the government revived the kingship countrywide includes Acholi. Now politically paranoid with the existence and integrity of Rwot Akera, Ojigi without moral authority stole the stamp belonging to the Acholi Ker Kal Kwaro in November 30 and wrote a stinging letter to discredit the Rwotship of Bobi. In his communication to now chief of East Puranga Ochan Luwala, Ojigi argued consecration of Akera as a chief will only divide united Puranga, thus be stopped. His action was condemned by the prime minister of the Cultural Institution Kenneth Oketa. Oketa said Ojigi should refrain from denouncing any clan head and urged him to concentrate in affairs of his subjects. Oketa said even when in the KKA there is no office charged with deleting or replacing any chief so chosen by his people. Ojigi thus made blunder with impunity so needed to apologize to his counterpart Akera. As if that was a launch pad to cause sentiments among Acholi smaller chiefs, on November 20, while burying Rwot of Patiko Kal Mutu Lagara, flanged Rwot of Pajule George William Lugai laughed at the death of Mutu at his funeral rite by denouncing without shame the chief of Lamogi Paul Olango, son of Rwot Otto Yai who died long ago as not a chief. This forced KKA Prime Minister Mr Kenneth Oketa to angrily criticized action of Ojigi and Lugai for unconstitutional behaviors. “He has no capacity to deny any chief who is chosen by his people and this is heretically right,” Oketa said. Ojigi went as far as saying Akera and Bobi Puranga as they know has never existed in history of any chiefdom. But Akera shelled them as illiterate and frustrated bloc of men corrupt to the tune of famine. Chiefdom in Puranga was done in a way of killing a chief just like Asante in West Africa. From 1720, Ogwang Okok, an outsider from Parumu a clan in Parabongo or Paimol came and occupied throne of Puranga. From 1720-1914, when Descendant of chief of Ogwall Abwang grandson of Ogwang Okok plotted to kill Okello Mwaka, his commander in chief and translator was arrested by the British because of assassinating Okello Mwaka. He was exiled in Masindi and died there. This gave birth to division of Puranga into two: Puranga Aywer ruled by Ogwal Abwang son Owiny Cumun and Olal Andrea was anointed in charge of Puranga Oqita. 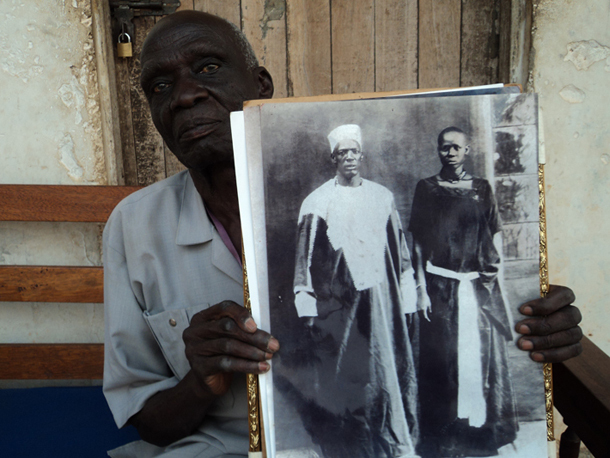 After death of Owiny Cumun, his son Aboga Eliya in 1942 was arrested when he caused tribal clashes between Puranga and Payira. Olal Andrea reclaimed the glory of Puranga chiefdom from a foreigner who ruled over two century none other than Ogwang Okok. Until after 3 centaury, Puranga chiefdom lasted for a centaury from 1914 -2010. In Puranga much smaller chiefdom includes Parwec, Paikat, Bolo Pakena and bolo Lamac, Ot Ngec, and Kal Orimu the supreme. The fact that Akera has Chiefdom controlled under reign by Akera, its justified by the regalia which include drum, spear, and Amer which are evident at his father’s palace in Bobi. These regalia once set ablaze jumps out of the house by itself and once ritual is not done in a specific time, many children in the royal family pass on. In late 2000, Akera had to perform rituals with elders in the royal palace to see that diseases or sudden death do not occur. 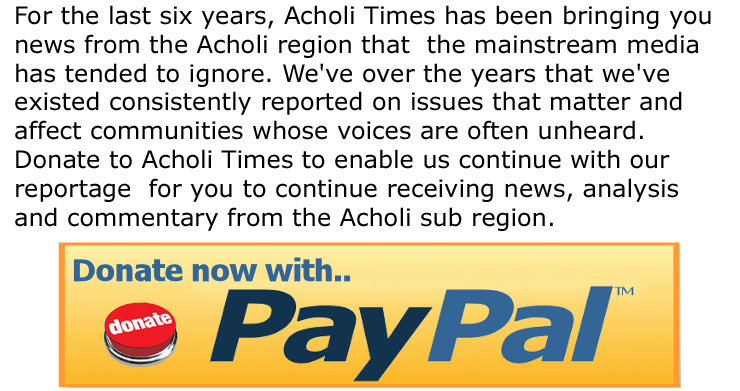 Thus culture of the people of Acholi today is eroding. No any chief can decides on his subject without the decision of council of chiefs and head of oracles. But today chiefs are termed as Rwodi Kalam meaning those whose authority rest upon the decision of the government. Children born in the house of the priests of oracles and Rwot of Puranga were carefully trained on secret rituals and function of the oracles.